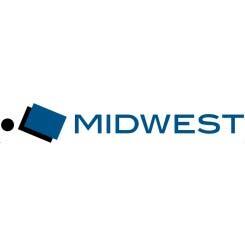 Stock #98829 - Midwest Folding Products 830EP Padded Vinyl Top Steel Edge Plywood Folding Table- 30" X 96"
Provide your table guests with a touch of home with these padded vinyl top folding banquet tables by Midwest Folding. 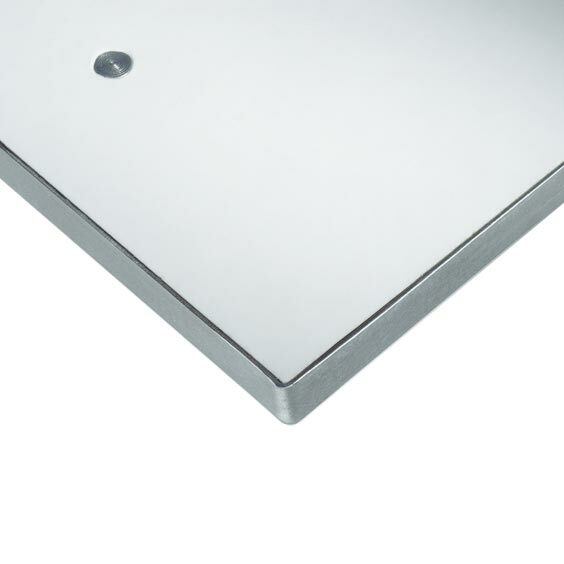 The padded vinyl top acts as a built-in table pad, all you have to to is add a tablecloth. 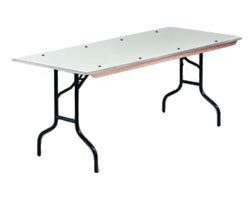 Tough galvanized steel edges outlast all other types, reducing costly repairs and eliminating snagged table linens. 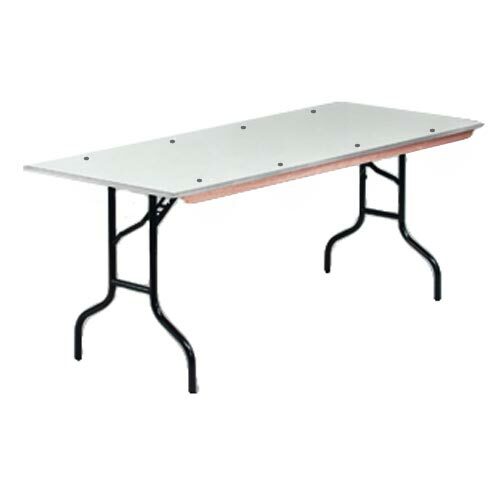 Light weight folding tables include plywood core tops of ¾" thick, high grade AC grade, 7 ply, western fir plywood. Ideal for banquets, weddings, catering companies or ballroom dining. Black powdercoated legs of 14 gauge, 1-1/16" diameter steel tubing are built for heavy use.